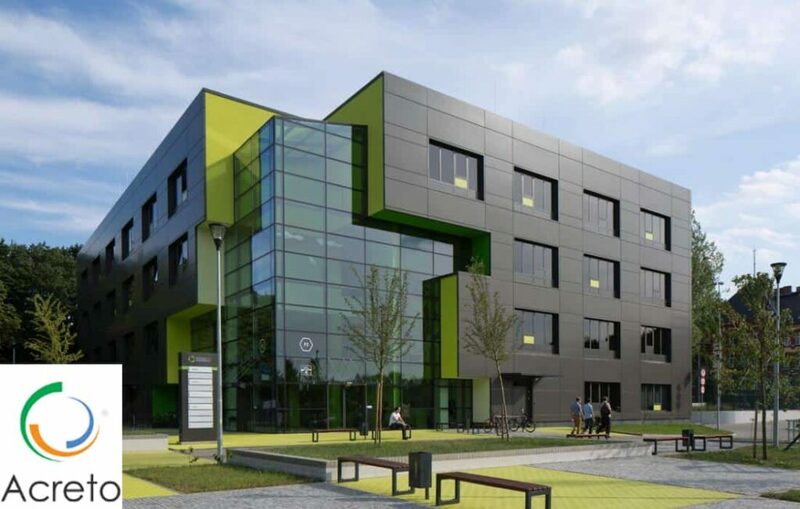 The Szczecin office will serve as development headquarters for Acreto’s advanced IoT security platform. JERSEY CITY, N.J., November 28, 2018 (Newswire.com) – Award-winning IoT Security startup Acreto announced the addition of Lukasz Klimek as Vice President of Engineering, and the opening of its new IoT Security Research and Development office in Szczecin, Poland. Lukasz is a seasoned veteran in the development of robust security technologies, and the new office expands Acreto’s access to some of the finest development and security talent available. Internet-of-Things (IoT) technologies are a radical departure from any enterprise technology known today and represent one of the world’s fastest growing technology segments. However, these devices pose the greatest cyber-security challenge known to date, because current security technologies simply don’t work with IoTs. The mobile, distributed, resource-challenged, and purpose-built nature of IoTs make them fundamentally different. Today’s fragmented and piecemealed security technologies are ill-suited to secure IoTs that have and continue to seep into our lives. Nation-state and financial hackers are jockeying to take over IoT infrastructure specifically because of how easily these devices can be compromised and controlled. Acreto’s platform is specifically designed to secure vulnerable, mobile and distributed IoT Ecosystems that are quickly becoming the backbone of both business and medical fields. Without industry-wide standards to speak of, IoTs often operate across insecure third-party networks or applications. Acreto IoT Security is specifically designed to protect these “in the wild” devices that can range from a $5 sensor to a billion-dollar satellite. Lukasz Klimek, an accomplished Cloud Engineer with over 20 years of experience building complex software and security solutions, will manage the company’s global development team from Acreto’s new Szczecin Offices. Klimek joined Acreto in an advisory and consultative role and is now a key and exclusive part of the Acreto team. He has an extensive technology background with previous leadership roles in software, Clouds, Cryptography, and Crypto-currency. Acreto delivers advanced security for IoT Ecosystems, from the cloud, and protects Crypto / Blockchain, Clouds, applications, users, and all purpose-built IoTs. The company is led by an experienced management team, with multiple successful cloud security innovations. Learn more at https://acreto.io or @acretoio.